lives. Goals let the learner make decisions and choices about all things that have a bearing upon his or her daily life. Underlying these decision-making goals is the special education student's capacity to realize his or her own challenges and strengths – what works best. Action plans and time lines remain important to attain these goals. It is imperative that the IEP team stay cognizant that goals centered on decision-making do not involve merely one skill. Self-determination, choice-making, problem-solving, self-awareness, communication, self-regulation, goal-setting, self-advocacy and leadership all comprise the formation of decision-making skills that lead to the promotion of effective well-being. With the attainment of appropriate decision-making skills, student performance increases with the likelihood to attain positive post-school outcomes. Foremost, students should participate in the process of creating IEP goals to help make choices concerning their needs, likes and accommodations. A student's active attendance at the IEP meetings and realization of his or her rights remain paramount for success. Teachers and all IEP team members need to support a student's participation to develop the most appropriate goals. 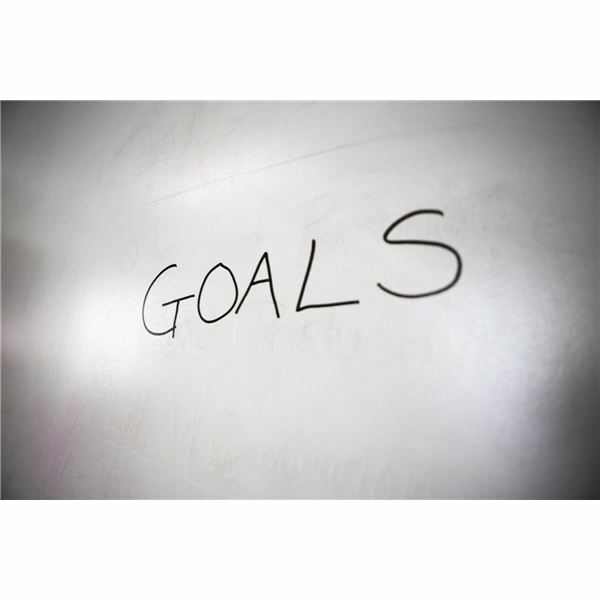 Goal setting always involves a student-centered approach toward planning for both the immediate and long-term future. When the IEP team aids the student in making wise choices and respects his or her value in society, goals are more readily achieved. The student is more apt to attain IEP decision-making goals with the realization that even small successes are significant. When determining goals always remember that a child has a home life and a school life. Negotiate. Be sure you realize the difference between decision-making skills and problem-solving skills when coming up with a student's goals. Problem-solving involves a set of actions or activities created for systematically analyzing a situation, then creating, implementing and assessing its solutions, whereas decision-making skills are a means for making choices every step of the problem-solving procedure. Demonstrate procedures for preventing conflict, communicating positively and resolving differences. Differentiate between positive and negative behaviors. Identify positive verbal and nonverbal skills. Identify causes and consequences of conflict among students. Apply decision-making skills that relate to the protection and promotion of individual well-being. Recognize how choices can affect well-being. Describe key elements of the decision-making process. Demonstrate basic skills of refusal. Describe times/situations when refusal skills are needed. Analyze the impact of peer pressure on decision making. Apply a decision-making process to address personal issues and problems. Demonstrate refusal and conflict resolution skills to develop and maintain healthy relationships with family, peers and others in a socially acceptable manner. Identify how to make a good decision/choice. Examine choices available in order to make a good choice/decision. Identify the positive and negative consequences of making a decision. Goals must take into account safety, ethical and societal considerations when making decisions. When designing goals for elementary students, the IEP team should focus on the student's capability to respect his or her rights and others' rights: avoiding acts that provoke and hurt others wrongfully. At the middle-school level goals concentrate on fairness, compassion, honesty and respect in an evaluation of others' needs when making a decision. Goals in high school reach the level of personal responsibility in ethical decision-making. In essence, a high school student can apply ethical reasoning to assess societal procedures. Decision-making goals in elementary school may also involve the identification of norms in society and safety as a behavior guide, and how this knowledge bears upon decision-making. Once a child reaches middle school, goals delve more into an analysis of the reasons both school and society maintain rules. In high school societal and authoritarian rules present expectations, so their influence on personal actions and decisions remains an assessment focus in goal making. How the culture and norms of society influence behavior and decisions is also evident in high school IEP goal creation. In regards to creating decision-making goals that apply to the responsibility of school and social situations, elementary students identify the array of decisions to be made at school. They apply those decision-making steps systematically to a solution. Goal-setting for the middle-school student centers more on the analysis of how decision-making skills can improve academic performance through good study habits. The high school student will concentrate on information gathering for goals, creating alternatives to solutions and the expectations of decision consequences. Goals for high school students take into account how present decisions affect a future career or college choice. Goals that relate to all students reflect positive choices to foster classroom interaction and assessment strategies to avoid peer pressure and promote positive interpersonal and group relationships. Additionally, the focus must not remain on personal individual goals but concentrate on the well-being of family, school, community and society. The elementary and middle-school student stays focused on decisions regarding contributions to the family and community through both evaluation and participation. High school students may plan and implement their own participation. Goals for the older students may involve cooperating with classmates and others in a project that addresses the needs of the entire community. The ability to solve problems responsibly and make accurate decisions that reach positive outcomes in personal, family, school and community behaviors is required for personal well-being. The responsible behavior includes avoiding risky behaviors, fairness and honesty. When the appropriate results are maintained from creating IEP goals for decision-making skills, students are able to anticipate consequences, and come up with alternative solutions through assessment and learning from their own decision-making. The behavior contributes to the classroom, family, school, environment and community to promote expected citizenship in society. Decision Making and Problem Solving, FEMA website. Social Emotional Learning Standards from Illinois State Board of Education. Tools for Teachers from the University of Massachusetts Boston.